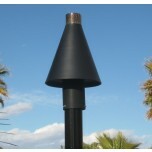 Black cone automated remote controlled tiki torches. Our automated system is truly the leader in reliability, dependability and quality. 24 Volt wiring system easy installation and powder coated steel 3 piece pole (standard) optional custom aluminum pols available - call for price You will get years of satisfaction from these tiki torches. No more filling up on oil or re-lighting them when the wind blows them out. 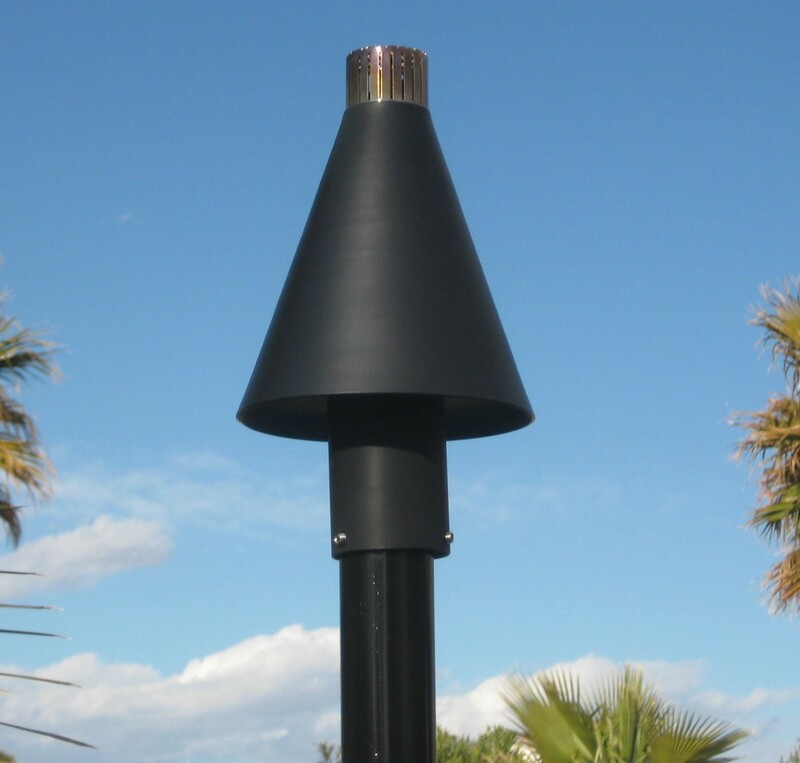 Our simple one push of a button to turn them on or off allows you to enjoy your backyard with no hassles.